Age 84 of Saunemin IL, and formerly Dwight, Gardner and Tennessee, passed away ­­­­­­­­­­­­­peacefully surrounded by his children, Ron, Donna & Leigh Ann at Joliet Area Hospice Home on Saturday, January 26, 2019. Born in Monroe County, Tennessee on April 26, 1934, Don was one of four Children born to Bonnie (Sawyer) and Horace Claude Stephens. Don’s greatest loves in life were his children and his family, followed by his love of fishing, gardening, and working around the farm and traveling. 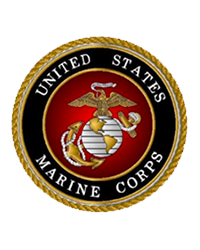 A graduate of Lanier High School in Tennessee, Don enlisted in the United States Marine Corp where he proudly served as a Corporal until he was honorably discharged on September 8, 1956. Don moved to Gardner to raise his family and enjoy life in the country. Don retired from Caterpillar Inc. in Joliet after 45 years in the Heat Treat Department. He also worked with the late James Scott of Dwight for more than 20 years laying field tile for area farmers. Don instilled upon his kids the importance of an exemplary work ethic and the love of family. Survivors include his three children: Ronald (Leigh Ann) Stephens of Saunemin, Donna (David) Weis of Blackstone and Donald Stephens of Mattoon; five grandchildren: Sarah (Cody) Harris of Cullom, Nic Stephens of Saunemin, Natalie Weis, Nathan Weis, and Nolan Weis all of Blackstone; one great granddaughter: Olivia Harris of Cullom; brother: Hardie Stephens of Palatine, several nieces and nephews, and longtime companion, Judy Lanier of Dwight, IL, as well as her children and grandchildren. Don was preceded in death by his parents, sister: Mary Cook; brother: Claude Stephens and grandson, Justin Stephens. Visitation and video tribute will be held on Thursday, January 31, 2019 from 4:00 p.m. until 7:00 p.m. at Reeves Funeral Home, 75 North Broadway Street (one block north of Illinois Route 113), in Coal City and again on Friday February 1, 2019 from 10:00 a.m until time of service 11:00 a.m.
Burial with full military honors will follow at Abraham Lincoln National Cemetery in Elwood, Illinois. The family would like to send a special thank you to the staff of Morris Hospital and Joliet Area Community Hospice. Memorial contributions may be made as gifts in Don's memory to the family for their distribution.